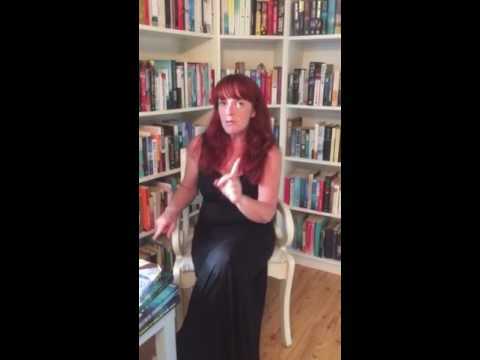 Sheila O'Flanagan has been a best-selling author for many years, rarely out of the book charts. She has a huge fan base and is known worldwide for her women's fiction novels. However, this one was just not for me. The story was interesting to begin with, a family at war over their father's estate, but the characters were so shallow and hateful, I began to tire of the whole book very quickly. I found it too predictable, very drawn out (Over 500 pages) and quite dated in its format. It reminded me of books I read in the late 80s and early 90s which were choc-full of designer clothes, nice locations and lots of property dreams and power suits. I think the world of women's fiction has moved on from this and it is now more important to have a great narrative and inspiring characters. With so many amazing new novelists out there, the reader is spoilt for choice. 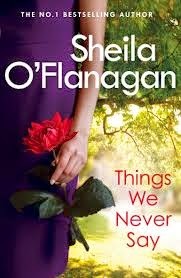 In saying that, Sheila O'Flanagan is a very successful writer who most certainly does not need the approval of a little book blogger, like me, to end up on the inevitable best-seller lists and I genuinely wish her all the best with this novel. Things We Never Say is published by headline Review on 24th April 2014 and is available in paperback and ebook format.